Clarity of light and an air of tranquillity are only found in combination in remote open landscapes. Iceland is probably one of the closest places to find both of these qualities. Iceland’s landscapes, seascapes and skies are immense, intense and very atmospheric. 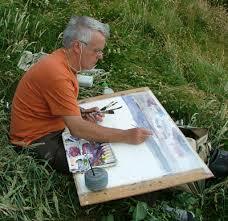 Iceland is one of the best places on earth for artists wanting to capture a dramatic natural landscape. The weather in Iceland is part of the spectacle. 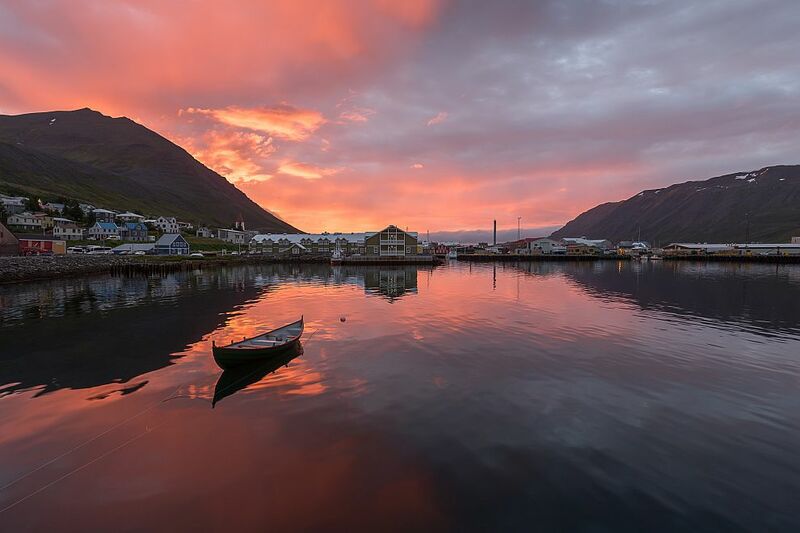 In the summer months the daylight hours stretch long in to the night and during the winter it is possible to see the aurora borealis, but Iceland is also subjected to the mid-Atlantic Drift and jet streams that can trap warm and moist air and rain. May is one of the more settled months with the onset of spring, warmer temperatures and longer days. You can expect dramatic cloud formations interspersed with bright sunshine, snow on the mountains and spring flowers in the lower meadows. 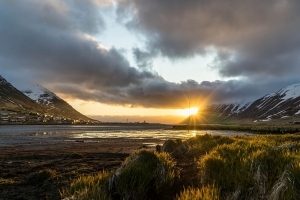 Iceland is the land of fire and ice and has many different landscapes. Away from the popular thermal and glacial sites and waterfalls you’ll find areas with lakes and deep fjords. 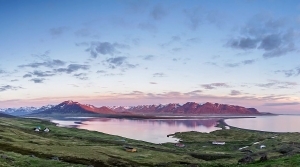 Head to the remote north of Iceland and the Tröllaskagi peninsular and you are only 25 miles from the Arctic Circle. 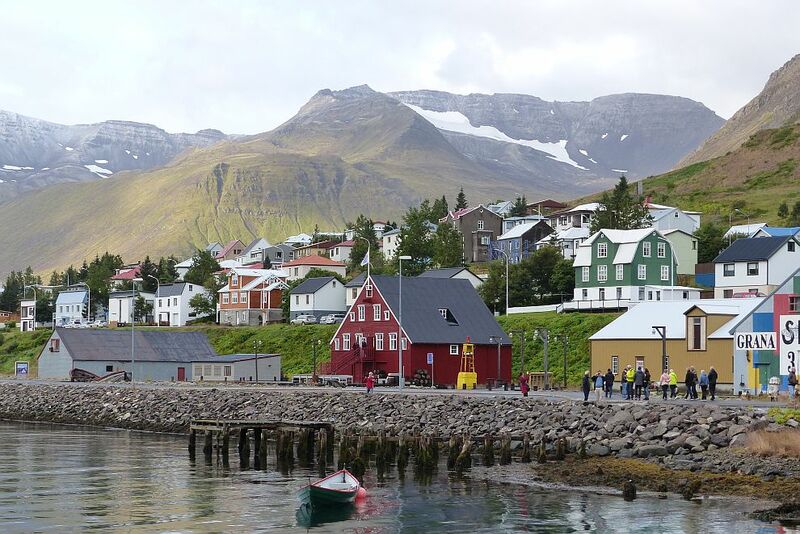 This is a mountainous area with deep fjords stretching out to the sea and isolated fishing villages. Since 1965 these small fishing communities have suffered from a shrinking industry and declining populations. 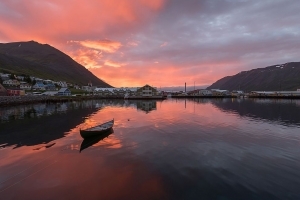 The small fishing town of Siglufjordur is located near the tip of a beautiful fjord and is Iceland’s most northerly town. Siglufjordur remained isolated and was reachable only by rough mountain roads or by sea until 2010 when the Hedinsfjordur Tunnel was built. It can now be reached in a couple of hours from Akureyri and is a new area for artists to capture. 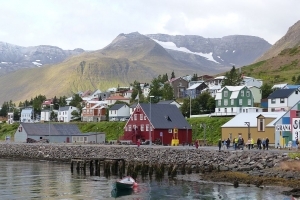 There is a lot to paint here – deep fjords with mountains dropping sheer in the sea, snow-capped peaks all year around, colourfully painted wooden houses, pristine churches, a small harbour with traditional fishing boats and yachts and a fish factory, as well as big seas and endless skies. Richard Pikesley RWS PNEAC is a leading figurative painter who incorporates abstract elements in his work. He is hosting a painting holiday to the Tröllaskagi peninsular 12 – 20 May 2019 for intermediate and experienced students. Richard is well known for his seascapes and beach scenes so this area of Iceland will be perfect painting material for him.